Cloud security is a massive threat for all enterprise officials in today’s digital scenario. Yet, many businesses are struggling to identify a growing complicated threat around them. CloudCodes team assumes that there will be a 17% increase in the use of cloud managed security service in the coming 5 years. This assumption is made because nowadays every single firm is using cloud services for their business operations. Exploring business in a digitized manner is now considered as the core development strategy. Different unexpected plans come in mind when employees make use of cloud managed services, and understand its wide range of opportunities. In comparison to the traditional IT infrastructure, off-premises architecture is concluded as more effective and less costly when it comes to information storage and handling. All these statements state one thing that ‘cloud managed services are openly adopted by users around the world.’ But, there is one important point to be considered at the time of using these services i.e., Data Security. One of the popular cloud managed security service providers stated that ‘The global use of cloud-based managed services for security purpose will grow enterprises up to their highest extent.’ Different online activities can be successful only when they are accomplished in a secure manner. This post is going to tell more about cloud protection services along with the guidelines to choose the best cloud managed security service vendor. What is Cloud Managed Security Services? It is true that business officials are already having lots of stuff to do for growing their organizations. We understand that the burden increases when a serious responsibility of online security is imposed on them. But, users cannot ignore the aspect of securing their confidential content stored on cloud because in no time data might get exposed. Cloud data protection requires proper concentration and sufficient amount of resources without any delay. Proper assistance and tech skills are needed to manage cloud data loss prevention techniques and other measures to secure record on cloud. Getting stressed by thinking what to do, what not to do? Whom to give duty of business data protection? Will it be secure in the hands of selected individual? Oh god, sleep is on risk but, finding no way to come out! Wait, wait, wait! Not to worry, we are having several cloud managed security service providers in the marketplace. The role of these vendors is to deal with security activities, which are associated with prevention against cyber attacks. The mission and vision of these service providers are only to secure cloud data of their customers, so as to enable clients to work by freeing up their mind from the stress of security. 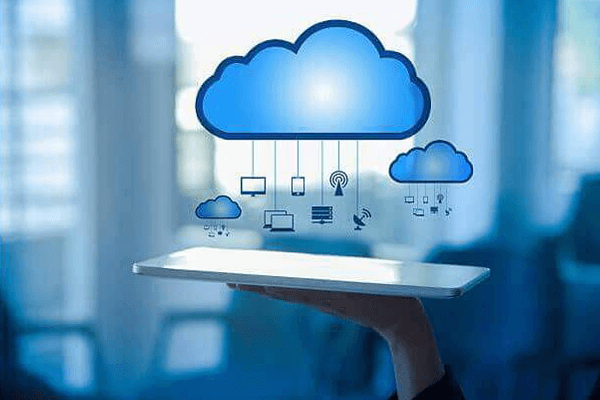 Cloud security service vendors offer solution like real-time data monitoring, Single Sign-on, Access controls, DLP, etc., to deal with cloud computing security challenges. Interested enterprise candidates can establish data protection via these vendors, ranging from network and cloud to the use of mobile and software. Well, there exist variations in security standards because it is completely dependent on the nature of business. In today’s date, majority of organizations (especially the high enterprises) have realized that online data protection allows firms to concentrate more on their actual duties instead of worrying about cybercrimes. Different organizations are having their own set of mission and vision so, why to disturb them when we are having 3rd party service to help them out; that too in affordable price. Lots of Service Vendors, Which One to Choose? Yes it is true that we are having tons of cloud managed security service providers in the market. Making selection for one vendor, which suits your business the best, is really like ‘searching a needle in a haystack’. Don’t panic! Simply close your eyes, take a deep breathe and read out the following ideas. These ideas are going to assist you when you are making selection of a suitable cloud managed security service vendor for your company. Address The Nature of Cloud Data – First of all you have to categorize the content types that are used on daily basis or periodic basis in your organization. When you are done with this, find out the content that can impact your enterprise growth at the time of disclosure. Decide what type of records you want to keep on private, hybrid, and public cloud. Consider all the compliance problems and data privacy policies associated with legal documents. Draw Comparison Between Vendors – Shortlist few vendors that you find reliable on the basis of your requirement and then, draw out a comparison table between them. From this table, select one vendor that fulfills your compliance demands, including the process to deal with the workload, infrastructure, and app management. Initially, address the basic requirements of your firm because those requirements are majorly needed to grow your business. See the Security Standards Used – The chosen cloud managed security service vendor should render the advance level of cloud data security standards. We are talking about advance policies because these will provide prevention against old as well as trending cyberthreats. At least, the services like 24*7 data monitoring, audit of data log, data encryption, and multi-factor authentication should be present in the chosen software. Things will move in a perfect way if one goes for a provider that hires the team of cloud security experts as their employees. CloudCodes provides security-as-a-service to its customers where the team of experts work for protecting client’s data. If you are reading this post, instead of searching for other cloud managed security service providers, you can give CloudCodes team at least one chance. You can request for the demo version of this product to determine whether it suits you or not.